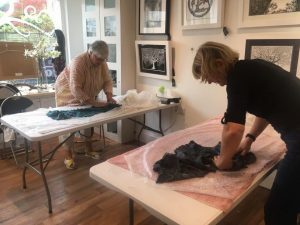 Nuno Felt Scarves with Hilary Woodgate @ Wildwood arts, Dartmoor. 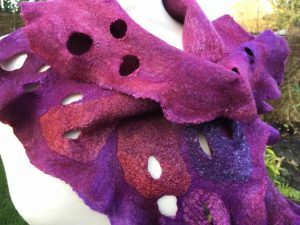 Nuno Felt Scarf Workshop with Hilary Woodgate. Making something useful out of very little and using very little is obviously very attractive, unique and personal. 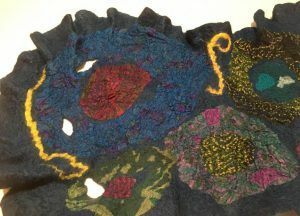 It’s beauty is in combining the colours and textures that different fibres and fabrics can create……And what’s more everyone can do it! Our workshops are aimed at complete beginners, to light the flame of wanting to know more! In all of the workshops I will talk about what felt is, the various ways it can be made and of course, what it can be used for. 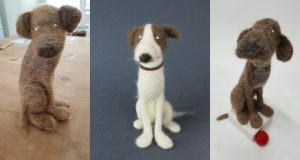 Hilary is an internationally recognised felt artist and has featured in ‘Felt Matters,‘ International felting magazine and is a guest tutor at their AGM. 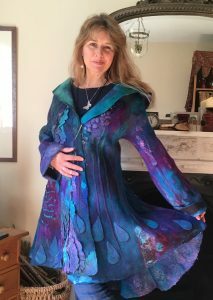 She creates beautiful clothes, bags and scarves from felt and her colour mixing is exquisite and much admired by other felters. 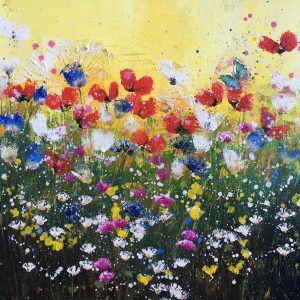 Laure is a full time professional artist, known for her vibrant landscapes, seascapes and colour compositions with Butterflies. She exhibits her work nationally and internationally and is a regular exhibiter at Wildwood Arts Gallery. 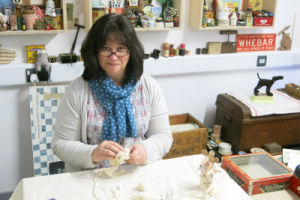 She has been teaching art for over ten years in schools, museums and from her studio on Dartmoor. Workshops are in acrylic. 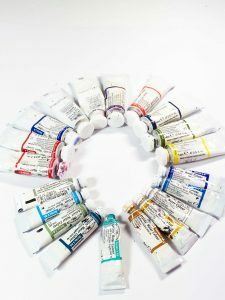 Each student is taught easy to learn techniques to create a beautiful painting with use of the palette knife, brushes, layering, collage, sgrafito and splashing.The aim is to learn in a safe, comfortable and fun environment and to liberate the artist within! 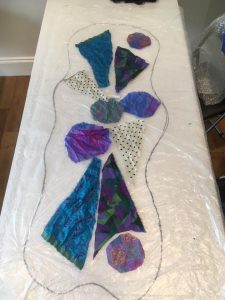 Laure says “Allowing my students to lose inhibitions and false limitations on their creativity and allowing this to flow, inspiring beautiful colourful paintings and leading to a new found self confidence is the biggest reward for me”. All materials are included in the price of workshops: £75 per person. Each student leaves with his or her own beautiful creation on canvas ready to hang on the wall!